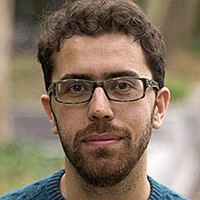 Omar joined the Department of Journalism Studies at the University of Sheffield in September 2015. His academic career began at the Lebanese American University in Beirut, Lebanon, where he received a BA with distinction in communication arts, with an emphasis on radio, TV and film, and a minor in political science. After his graduation in 2003 he started working for the Al-Hayat Arabic daily website. He now is an Assistant Professor at LSE, at the Department of Media and Communications. Visit Omar’s University profile page.